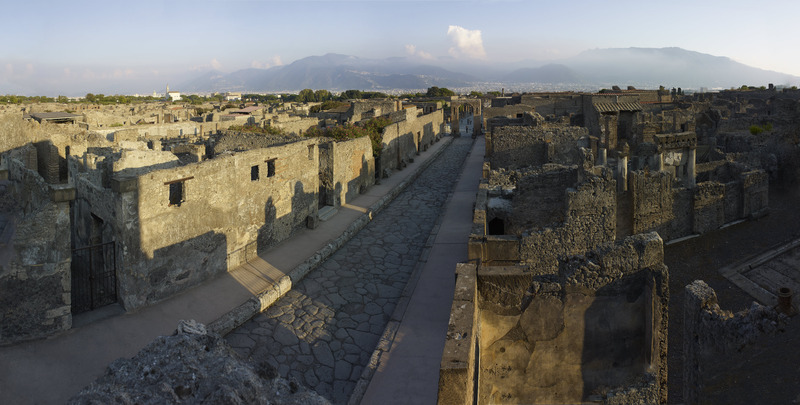 Many of the objects in the Life and death in Pompeii and Herculaneum exhibition help tell extraordinarily human stories of the inhabitants of Pompeii and Herculaneum. In this blog Vanessa Baldwin, describes some of her favourites. Many of the objects on display in the exhibition Life and death in Pompeii and Herculaneum, were not artefacts, they were people’s possessions. The people living in these two cities saw them and used them every day; they commissioned them or bought them for each other, and for themselves. After years of researching, planning, designing and building, the exhibition, which opened in March 2013, was it’s all about the people – people going through their daily lives with no idea of what was coming; the volcanic eruption in AD 79 that destroyed their cities, their lives over in an instant. My favourite objects tended to change from day to day, but I was particularly taken by a marble plaque from Herculaneum. It was set up between two houses and on one side it read: ‘this is the property of Marcus Nonius Dama, private and in perpetuity’. On the other side it read, ‘this is the wall of Julia, private and in perpetuity’. Marcus and Julia were ex-slaves, and they were living next door to each other. They must have had some sort of dispute about the boundary between their houses and this plaque was set up to resolve it. The extraordinarily human stories like this one are what I loved most in the exhibition: to know people’s names, know who they were living next door to, and how they might have lived. Seeing the trucks full of objects arriving from Italy really took our breath away. To then see them emerge from their crates to become part of a design that we’d only ever seen on paper was the most special experience. Over the 15 months I worked on the exhibition, it was a privilege to share the process of staging an exhibition with the curator Paul Roberts and the many fantastic people in the Museum who worked alongside us. To go from object research and selection to their arrival and installation was a whirlwind that I’ll never forget, culminating in the chance to share the stories, the objects and the people of Pompeii and Herculaneum with everyone. Life and death in Pompeii and Herculaneum is open from 28 March 2013.